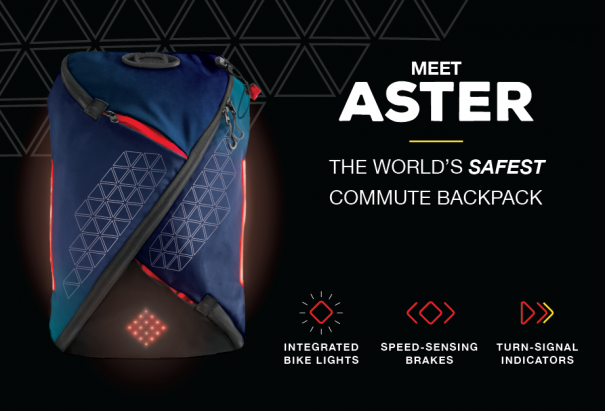 Aster is a prototype design for a commuting backpack with integrated bike lights, turn signals and automatic brake indication and it’s seeking funding via Indiegogo now. 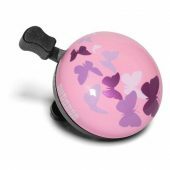 We think it’s pretty amazing! 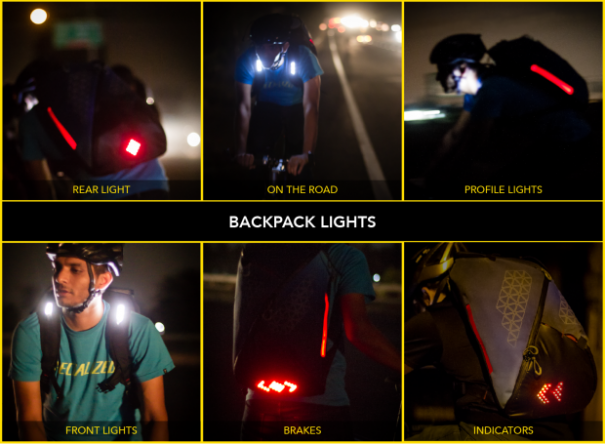 The designers of Aster claim that they’ve addressed 75% of the causes of bike accidents. Aster‘s rear and profile lights make you visible to motorists from all sides, front lights signal your presence in rear-view mirrors and automatic brake lights help you avoid getting rear-ended. Integrated turn signals make sure that drivers around you know when you’re making a turn. Control Aster’s light settings and more with their app (called the Lumos Aster app), available for both Android and iOS platforms. 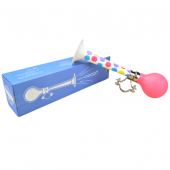 You can adjust your light settings to meet the regulations specific to your state or country. 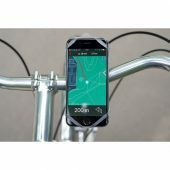 The app allows you to see the battery life remaining, both in the 4000mAh USB-chargeable battery and the handlebar unit. Using the Lumos app and the handlebar-unit, you can lock your bike in its place with one tap! 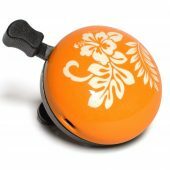 If your cycle is moved for more than 5 seconds once locked, an alarm is triggered to attract attention. 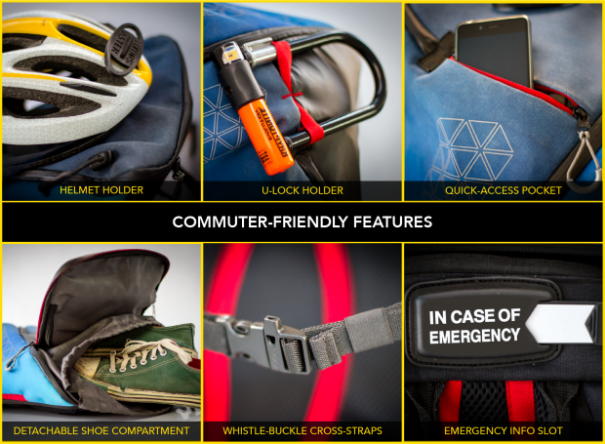 Aster also has several commuter-specific compartments – a minimalist helmet holder, a whistle buckle, tuck-away U-lock holder loops, zippered bottle pockets, rain-cover and an ‘In Case of Emergency’ information slot in the event of a crash. 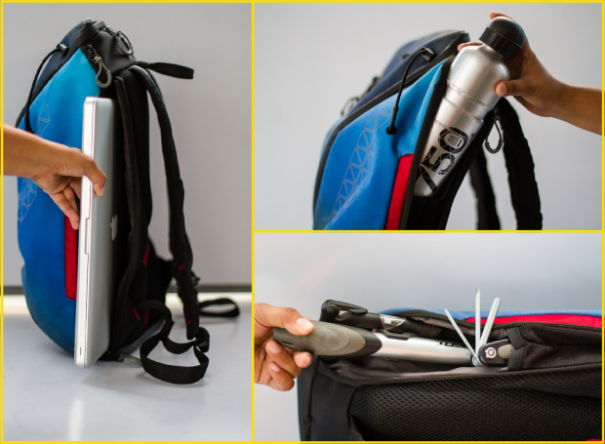 You can pack a 15.6 inch laptop with charger, change of clothes and shoes, smaller gadgets, books, bike-tools and spares, rain-jacket, a 1 litre water bottle and even your lunch! 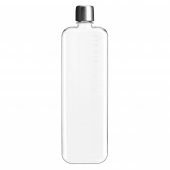 Aster is also weather-resistant, with a waterproof TPU coated exterior and rain-resistant zippers that cause water to bead up and roll off the surface. 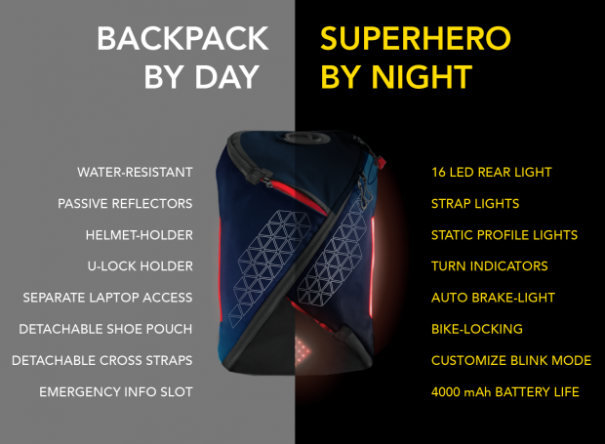 Aster’s Indiegogo campaign ends on 30 April so get in quick to support the production of this innovative product!